What an interesting and varied week of action for Ballymena Runners! From going back in time at Cultra to the streets of London and from the Atlantic coast to the Mediterranean there seemed to be few places that the club colours didn’t grace with their presence. 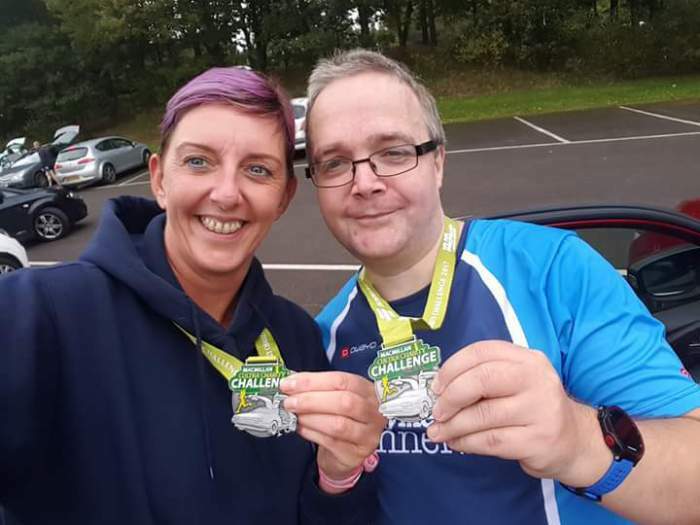 There were 1.21 gigawatts of power on show at Cultra on Sunday as a large turnout from Ballymena Runners descended on the Ulster Folk Museum for the Cultra Charity Challenge 10k in aid of MacMillan Cancer Support. On what could politely be described as an undulating course almost 800 athletes from around the country took to the roads and the trail in either the 10k or 5k event. Starting with two DeLorean cars, from the classic 80s film Back To The Future, as company Andrew Laverty led the Ballymena contingent home in the 10k, finishing in 47:22 ahead of Scott Fleming (55:32) and Sinead Scullion (56:59). Gemma Macrory and Shama Lamsiah also dipped in under the hour. Lorraine Craig, Kate Dempsey, Allison Douglas, Martin Harris, Patricia Macrory, Teresa Mark, Thamra Millar, Elaine Scullion and Sarah Woods also completed in the 10k race. Moving into the 5k, David Nicholson completed the run in 28:25 with Adrian Dodds (31:37) and Gemma Moore (34:09) following. In addition Mairead Agnew, Adrian Dempsey, Kevin Duffy, Judith Irwin, Gemma Moore and Janice Wilkins also took on the challenge. On Saturday Claire Martin made her way to the west coast of Ireland to compete in the Galway Bay Marathon. Encompassing some stunning scenery that included the quaint Latin Quarter of Galway City, the famous Claddagh Quay and the majestic coast road with panoramic views of the Burren in County Clare across the Atlantic waters of Galway Bay, Claire produced a superb run to finish in 4:09:56. Well done Claire! Sylvia takes to the streets - and parks - of London! 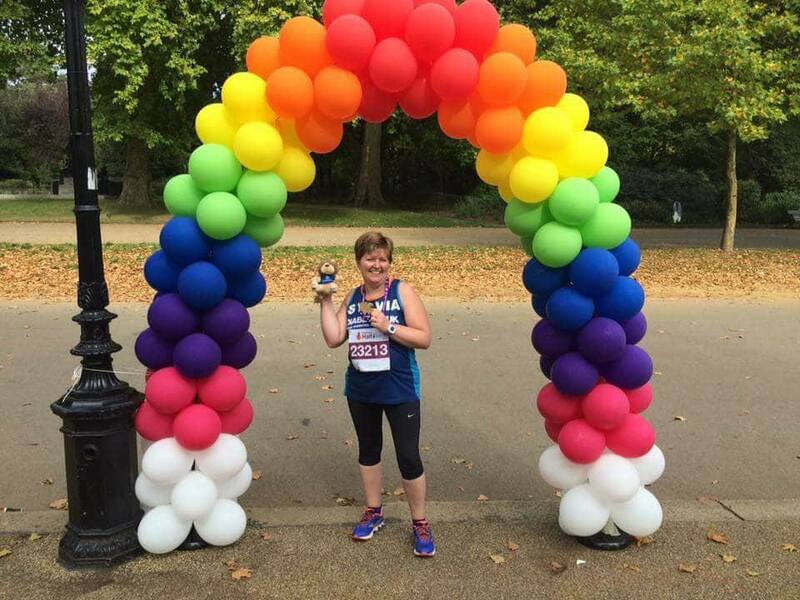 Sylvia Ringer had a unique view of London on Sunday as she took her place on the starting line at the Royal Parks Half. The stunning 13.1 mile route takes in the capital's world-famous landmarks on closed roads, and four of London's eight Royal Parks – Hyde Park, Green Park, St James's Park and Kensington Gardens. In a field of over 16,000 runners, Sylvia recorded a chip time of 2:29:34 - a tremendous effort! Congratulations to both Linda Petticrew and Brigid Quinn for picking up 3rd spot in their respective age categories in Sunday's Armagh 10-Mile Road Race. Linda finished in 1:16:14 while Brigid crossed the line in 1:35:00. Ballymena Runners were well represented at Saturday's Northern Ireland Road Relay Championships at Victoria Park in Belfast. First up was a Ladies Masters Development Squad with Judith Worthington, Alison Foster and Sinead Scullion producing a solid team performance to claim 18th place. In the Ladies Open event, which featured most of the top athletes in the province, the club finished a superb 4th place - well done Kerry Bamber, Gillian Wasson and Paula Worthington. The second ladies team also performed to a high standard taking 10th spot, congratulations Geraldine Quigley, Linda Petticrew and Judith Worthington (her second race of the day). In the Male Masters over 50 teams turned out making for a very exciting event. Again a super fourth spot was achieved with Michael Bennett, Ben Morrow, Richard Agnew and James Turtle all producing good runs. The second team, comprising Seamus Kelly, John Robinson, Alistair Hill and Ian McCracken also ran to a solid 21st place. The final relay race of the day was the Men's Open and again opposition was of the highest standard. Well done to James Hamilton, Jason Wilson, Connor Reid and David Hamilton in claiming 16th place. With several cry offs our second team also completed the race taking 34th place, well done Robin Alexander, John Robinson (his second race of the day), Chris Young and Alistair Donaghy. The club would like to thank all its supporters, and back-up team also. Ahoghill man Nigel Bonar produced a herculean effort at the recent Barcelona Ironman event. Covering a total of 140.6 miles, including a 2.4 mile swim, 112 miles on a bike and a full marathon, Nigel finished in 12hrs 43 minutes to record a personal best. Many congratulations Nigel! Robin Alexander, John Robinson, Chris Young and Alastair Donaghy form a very orderly queue at the NI Road Relay Championships!